I love the blog, Our Best Bites. They have such delicious recipes! The lemon poppy seed vinaigrette is to die for! 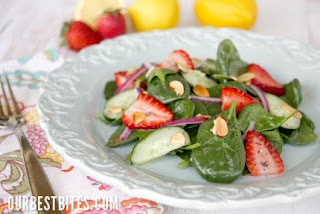 This salad will make the perfect side for your Easter meal!